Michael Cohen’s striking accusation on Tuesday that then-candidate Donald Trump directed him to negotiate hush agreements to help the campaign, which violated campaign finance laws, sharpened interest in a separate legal probe connected to the president -- the ongoing investigation of his family charity. Cohen, Trump’s former fixer and personal attorney, could become a key witness in that probe. Less than 24 hours after Cohen pleaded guilty to eight felonies in federal court in Manhattan, New York state investigators subpoenaed him as part of an ongoing multi-agency investigation into the Donald J. Trump Foundation, a spokesperson with the state's department of taxation and finance told ABC News. Cohen’s attorney, Lanny Davis, piqued the interest of state investigators when he made TV appearances Tuesday and Wednesday claiming that Cohen had information “relevant to state and federal investigators,” an official in New York Governor Andrew Cuomo's office told ABC News. 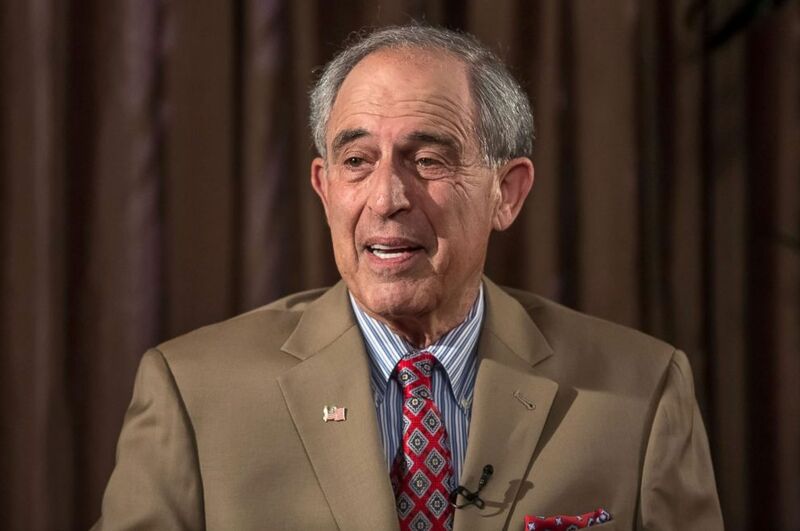 Lanny Davis, U.S. attorney and former Clinton political strategist, speaks during a Bloomberg Television interview in Prague, Czech Republic, on May 22, 2018. That official confirmed that shortly after Cohen was served the subpoena, the former Trump confidante reached out to the New York Department of Taxation and Finance to ask when they could schedule a meeting. The department cannot prosecute a case against Trump or his charity, but it can share information and make referrals to criminal prosecutors at the New York Attorney General and Manhattan District Attorney offices. Cohen has also indicated a willingness to meet with investigators from the state attorney general’s office to discuss the foundation’s activities, according to a source with knowledge of Cohen’s thinking. The Trump foundation did not immediately respond to ABC News’ request for comment this week. In June, the state’s attorney general filed a civil lawsuit accusing Trump's charitable foundation of having "operated in persistent violation of state and federal law governing New York State charities" for more than a decade by paying off legal bills with charitable funds, promoting Trump hotels, and purchasing personal items. For example, prosecutors claim the foundation, under Trump’s direction, illegally used charity funds to pay Mar-a-Lago’s $100,000 legal settlement with the Town of Palm Beach, Florida, over building permits and a flagpole dispute in 2007. The foundation also used charity money to buy a $10,000 painting of Trump that was displayed at the Trump National Doral in Miami, a private Trump-owned resort, according to the lawsuit. The attorney general's lawsuit names the foundation, Trump and three of his adult children -– Donald Jr., Ivanka, and Eric -– and seeks to dissolve the private New York-based foundation, prevent the Trumps from serving as directors of any nonprofits in the future, and asks for $2.8 million in restitution and other penalties. 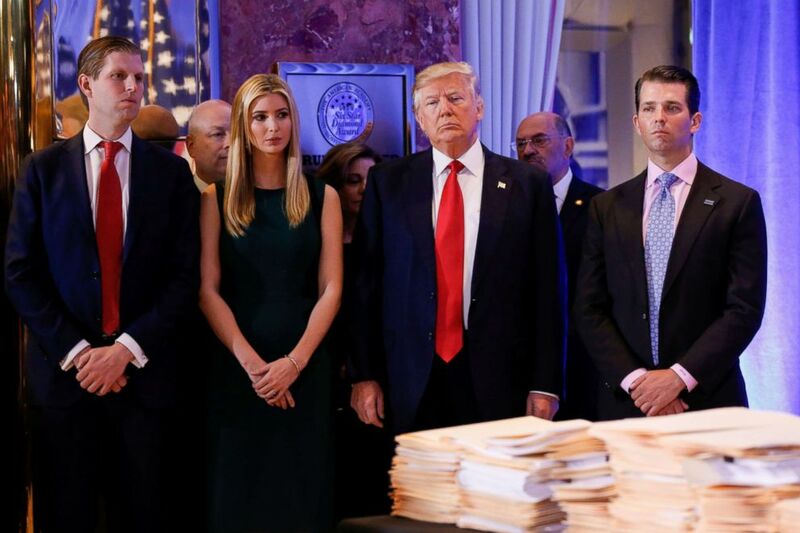 President-elect Donald Trump stands surrounded by his son Eric Trump, daughter Ivanka and son Donald Trump Jr., ahead of a press conference in Trump Tower in New York in this Jan. 11, 2017 file photo. The state attorney general also accused that the foundation of illegally using the charity to support then-candidate Trump’s presidential bid. 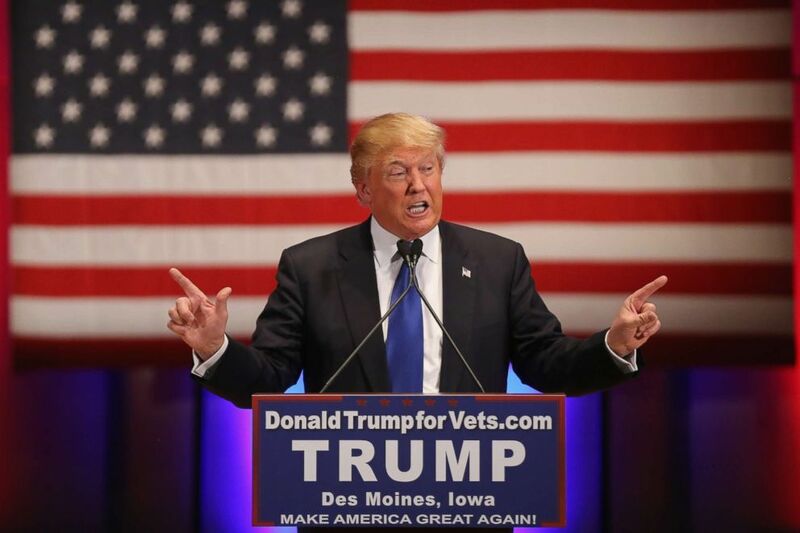 The foundation coordinated with the Trump campaign to turn a January 28, 2016 veterans fundraiser in Iowa into a Trump campaign event, the lawsuit alleged. “[T]he Iowa fundraiser was planned, organized, financed, and directed by the Campaign, with administrative assistance from the Foundation,” the lawsuit claimed. At the televised event, Trump stood behind a podium with “TRUMP” in all-caps and his campaign slogan “MAKE AMERICA GREAT” prominently displayed. Then-Republican presidential candidate Donald Trump speaks to veterans at Drake University on Jan. 28, 2016 in Des Moines, Iowa. The attorney general claimed that Allen Weisselberg, the treasurer of the foundation and longtime chief financial officer of the Trump Organization, also allowed Trump’s then-campaign manager Corey Lewandowski to dictate which Iowa veterans groups would receive the funds raised by the charity. In an unrelated matter, U.S. prosecutors have granted immunity to Weisselberg in their federal investigation of Michael Cohen, sources told ABC News on Friday. 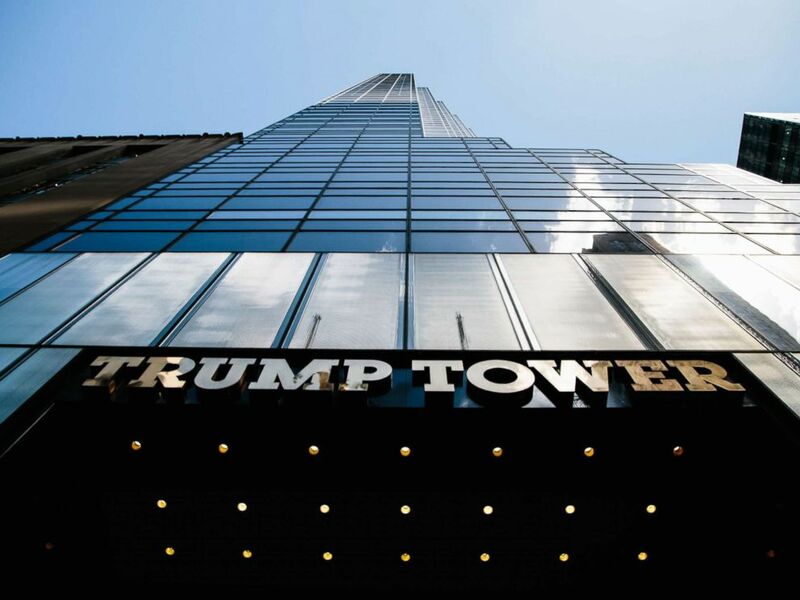 "The Trump Foundation was little more than a checkbook for payments from Mr. Trump or his businesses to nonprofits, regardless of their purpose or legality," New York Attorney General Barbara Underwood said in a June statement. "This is not how private foundations should function." In response, the Trump Foundation wrote in June that this is “politics at its very worst. The Foundation has donated over $19 million to worthy charitable causes -- more than it even received." "The President himself -- or through his companies -- has contributed more than $8 million,” the statement continued. President Donald Trump departs the White House, July 31, 2018, in Washington, D.C. The foundation has said it intends to dissolve. In late June, the charity’s lawyer told a judge that it had more than $1 million left to distribute, money the foundation claimed is being “held hostage” by the attorney general’s legal action. Judge Saliann Scarpaulla of New York will consider how this case will proceed at the next hearing, which is scheduled for October 11. Beyond this civil lawsuit, Trump and his family may have other legal exposure from this charity. 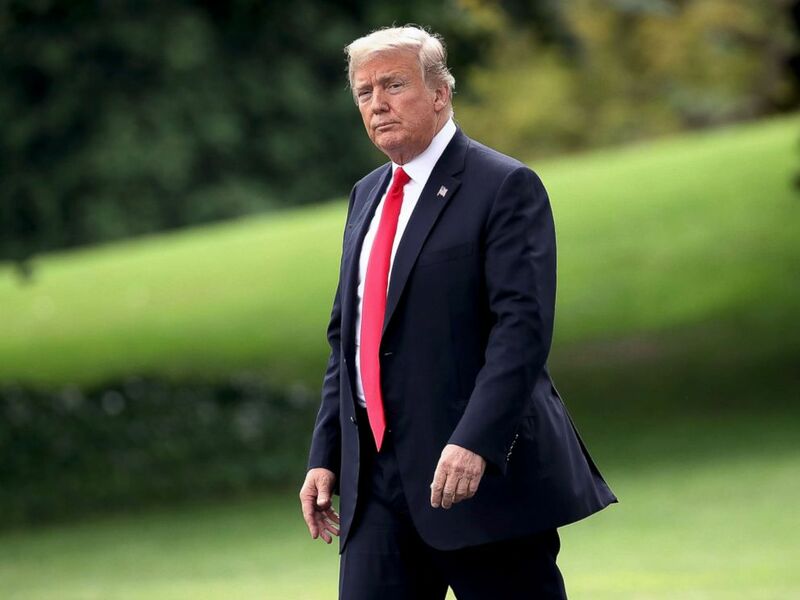 The New York attorney general in June asked the IRS and the Federal Election Commission (FEC) to investigate the Trump foundation and take legal action. In July, the Campaign Legal Center, a watchdog organization based in Washington, D.C., also filed a complaint with the FEC calling for an investigation of the foundation for alleged election law violations. The IRS, FEC and the Manhattan District Attorney’s office, which could potentially bring criminal charges, all declined to comment to ABC News on whether they are investigating Trump’s charity. The New York attorney general can only bring a criminal case if there is a referral from another state agency, such as the state’s department of taxation and finance, which subpoenaed Cohen. It cannot prosecute federal crimes. "We will hold Donald Trump and his associates accountable for violations of state law, and will seek a criminal referral from the appropriate state agency as necessary," a spokesperson for the New York Attorney General told ABC News on Wednesday. ABC News' Lucien Bruggeman and Aaron Katersky contributed to this report.